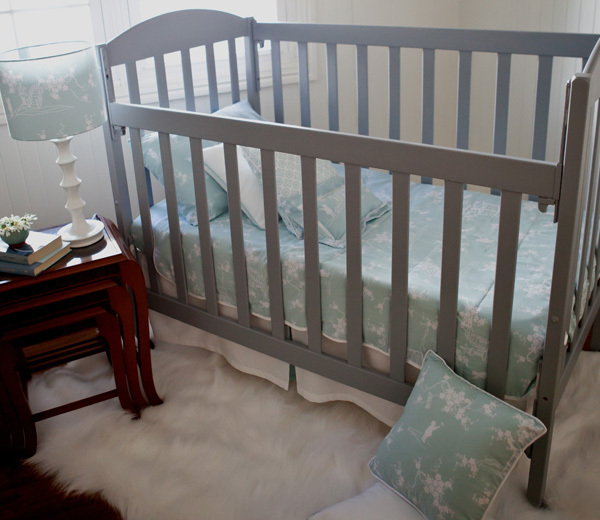 If you think finding the right cot for the nursery is hard, just wait until you try to find the right linen to go with it. I have something of a Goldilocks moment, only without the bothersome porridge or the angry bears, every time I need new cot bedding. It’s either too bright, too scratchy or just plain wrong. 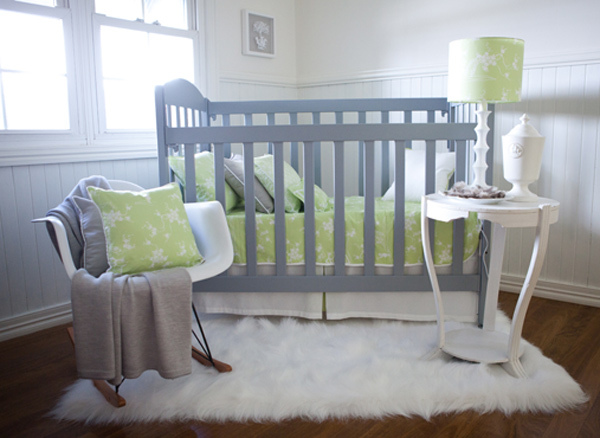 Happily, there’s not an adjective in that sentence that fits with nursery bedding newcomer Kate Lauren Designs, where the focus is on creating cot linen that’s “just right”. This beautiful and whimsical linen collection for nurseries by the very artful Julie Parianos is made right here in Australia. What? You were expecting a Kate Lauren at the helm? Me too. Julie tells us she chose that moniker for her business – it’s actually her eldest daughter’s name – because she wanted something timeless, elegant and refined, just like her designs, with a touch of her daughter’s sweetness thrown in for good measure. Each linen collection is also named for Julie’s own children, or children of friends, and imbued with the characteristics of their namesake. 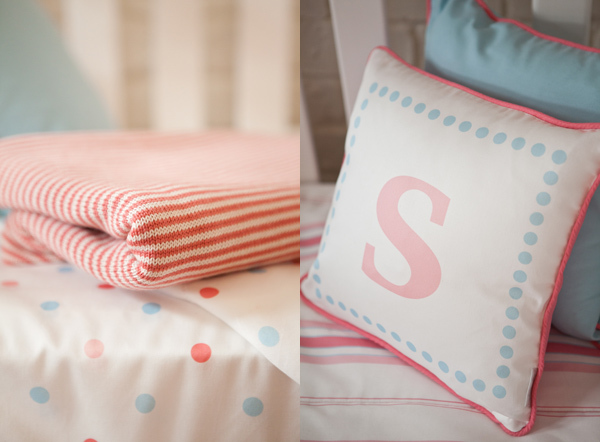 So there’s the Sophie Elizabeth collection (pictured above), all pretty polkadots and raspberry stripes for girls who adore bubbles and pink milk. There’s Luke Michael, all greens and blues for boys who love outdoor adventures, while Ashleigh Layne, with its delicate pagoda fabric, is about finding beauty in small details. The fabrics are truly lovely, but they’re only one part of what puts Kate Lauren Designs on our favourite linens list. All the bedding is made from pure organic cotton sateen or cotton poplin. There are also matching accessories including lampshades, cushions, bunting and fabulous fabric lanterns, as well as artworks custom designed by paper artist Angeline O’Day-Almond, of Almond Tree Designs, in colours to match each collection. Cot sheet sets are $139.95, lanterns $25, lampshades $79.95, blankets $139, cushions from $59.95 and comforters from $220, plus delivery, all from Kate Lauren Designs.